These St Patrick activities for preschoolers will get your little ones in the spirit of leprechauns, lucky charms, and pots of gold at the end of the rainbow! This is such an amazing collection of St Patrick activities for preschoolers! It contains printables, crafts, STEM challenges, books, and more! Below, you’ll find everything you need to keep your tots and preschoolers busy and entertained all month long! I love teaching holiday themes to toddlers and preschoolers. St. Patrick’s Day is a fun one to explore! There is an abundance of topics to be covered, and no shortage of books, printables, and themed resources to incorporate into your daily activities. Below, you’ll find all of the St. Patrick’s Day posts I’ve written to date that you can use with your toddlers and preschoolers. Be sure to check back often, though, as I’ll continue to add to this list as I create more fun stuff for you. 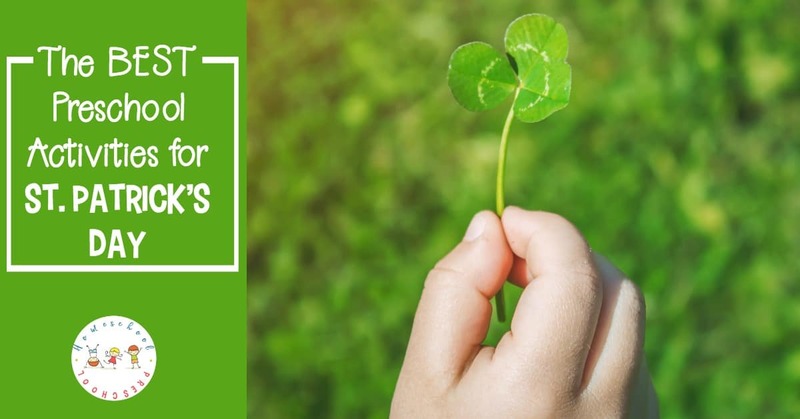 • 24 Educational Activities for St. Patrick’s Day – This collection of hands-on educational activities for St Patricks Day is sure to inspire and engage your preschoolers and kindergarteners for hours. 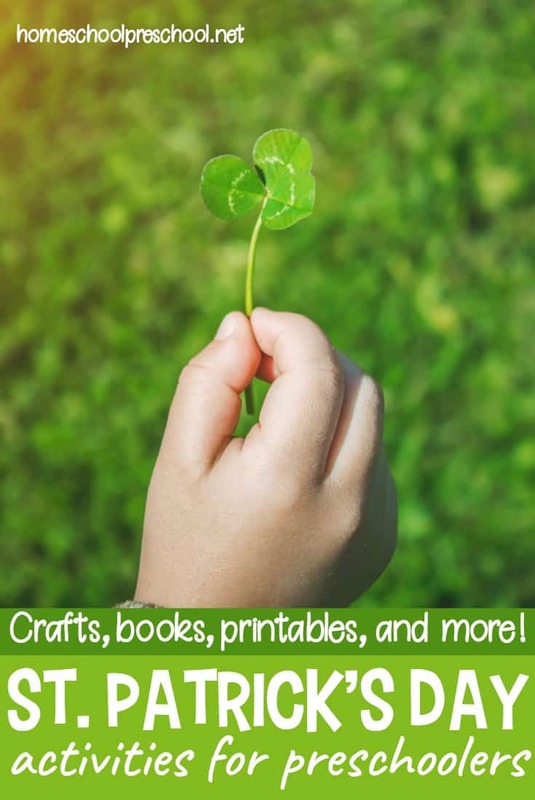 • 22 Easy STEM Activities for Kids to Do for St. Patrick’s Day – Discover 22 easy STEM activities for kids that are perfect for St. Patrick’s Day! Find Skittle science, walking rainbows, catapults and more in this collection. • 3 Hands-On St. Patrick’s Day Math Activities – St. Patrick’s Day is right around the corner and there’s no better way to celebrate than a super fun preschool math activity! Kids will love sorting, counting, and graphing with Lucky Charms. • 25 Kid-Friendly St Patricks Day Goodies – Here’s a fun collection of St Patricks Day goodies and snacks that kids can help you make and then, or course, enjoy! • 21 Easy St. Patrick’s Day Kid Crafts – Preschoolers love crafting, and these St Patricks Day kid crafts will make great handmade holiday gifts and decorations. Check out all 21 ideas! • Easy Skittles Candy Science Project for St. Patrick’s Day – I love being able to incorporate the holidays into our homeschool lessons. This easy candy science project is perfect for St. Patrick’s Day! • 25 Leprechaun Traps Your Kids Will Want to Make – If your kids want to catch a leprechaun this St. Patrick’s Day, they’ll need to build a leprechaun trap. Homemade leprechaun traps can be built with basic household items, and they can often be entirely kid-made. • How to Build a Leprechaun Trap – Your kids will have a blast trying to catch a leprechaun this St. Patrick’s Day with a leprechaun trap they can build themselves! • The Best St. Patrick Preschool Sensory Play Ideas – Engage your little ones with one or more of these St Patrick preschool sensory play ideas. Hands-on fun for toddlers and preschoolers! • St. Patrick’s Day Preschool Learning Pack – St Patricks Day is just around the corner! Here’s a fun little St Patricks Day preschool learning pack. With rainbows and leprechauns adorning these activity pages, your little ones will be excited to practice their numbers, letters, and much more! • 21 of the Best St. Patrick’s Day Books for Kids – The luck of the Irish will be on your side with this amazing collection of St Patricks Day books for kids! These books feature legends, leprechauns, and lots of luck!